Ferrari F430 Coupe Press Kit. These press kit are issued by the factory to inform the media about new model. The are usually printed in small numbers and are NOT available to the general public but are reserved for the press ONLY. 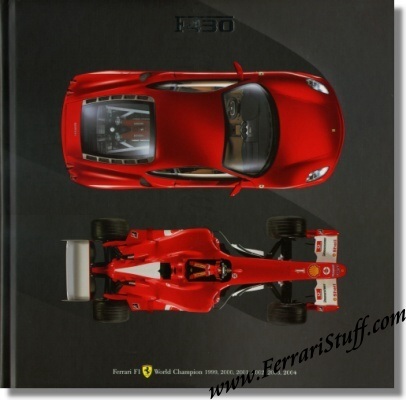 This hardback version was issued in late 2004 to inform the press about the then new F430 Coupe. It contains 76 pages and is PACKED with information on the Coupe. It also contains a CD-ROM with 53 high resolution images and 3 digital movies. This books measures some 12 x 12 inches or some 30 x 30 cm.